"Ach ich fühl's, es ist entschwunden"
Mischa Maisky and his daughter Lily present their new collaboration, "Adagietto". Included is a multi-track arrangement of Mahler’s Adagietto from his 5th Symphony with Mischa playing all parts (except the part for harp), a project the cellist has dreamt of for many years. 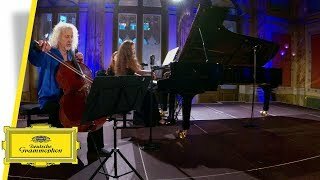 Performed live at the Zaubersee Festival 2018 in Lucerne, Switzerland, watch Mischa Maisky and Lily Maisky play Pyotr Ilyich Tchaikovsky's "October: Song of Autumn" from "The Seasons", arranged for Cello and Piano by Joachim Stutschewsky & Isco Thaler. Marking the 70th birthday of Misha Maisky comes a very personal album recorded with his daughter, pianist Lily. "Adagietto" encompasses relaxing and inspiring popular melodies from the Bach/Marcello Adagio to Grieg’s “Solveig’s Song”, from Massenet’s “Méditation” to Tchaikovsky’s “Valse sentimentale”. 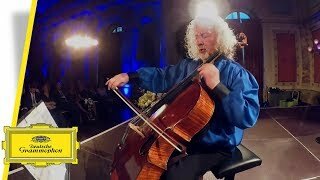 Performed live at the Zaubersee Festival 2018 in Lucerne, Switzerland, watch Mischa Maisky and Lily Maisky play Alexander Scriabin's "Romance", arranged for Cello and Piano by by Steven Isserlis.